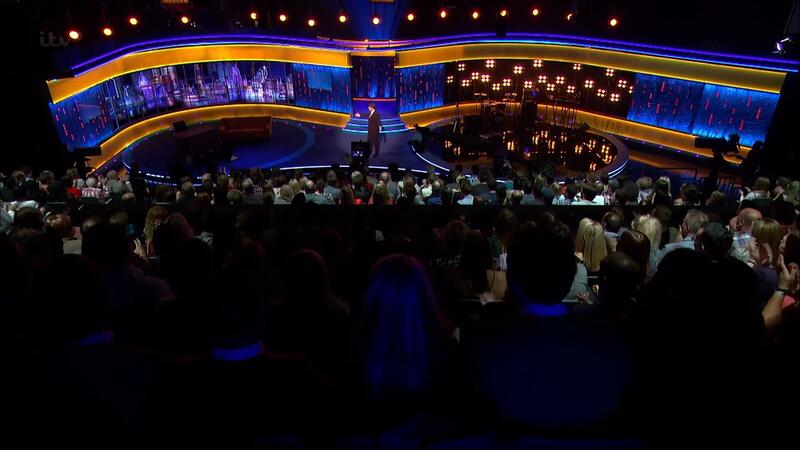 As promised, on Tuesday night my friend and I were members of the live studio audience for The Jonathan Ross Show. I can finally check off my one London bucket list item — maybe. Let me back up a bit. Part of the reason I wanted to be in a studio audience was pure curiosity — I wanted to see how a show is made, what happens during the breaks, and how it differs from the final edits. And this experience really fulfilled that. But of course I had another reason — I wanted to be able to pause the TV program on an audience shot, find myself, and post a screenshot of it on Facebook to show that I was on TV. I’m just being honest here. 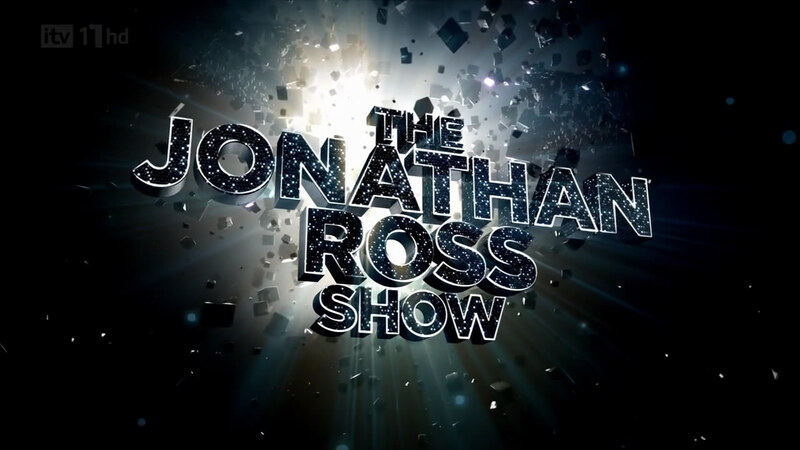 And this is where I made my fatal error — I did not watch a single episode of The Jonathan Ross Show before I booked it. My favorite British chat programme is The Graham Norton Show. Stephen and I watch it almost every week. The guests are always great, Graham himself is a hoot, and there’s always plenty of audience reactions and shots. I assumed The Jonathan Ross Show, another late night chat show, would have a similar format. Nope. A few days ago I finally sat down and watched a couple episodes. Jonathan comes out, does a short monologue, then the first guest comes out. Jonathan and guest chat, the second guest comes out, and that guest talks to Jonathan and the first guest. Then both guests leave and the third guest comes out. She has a chat for a bit, and is accompanied by the fourth guest. And then a musical guest performs. Done. At no point — even in the opening or closing shots — is the audience ever shown. So I went into Tuesday’s taping excited, but also with realistic expectations. We were merely going to watch a TV taping, not be on it. Nervous that we would not make the 6pm cut off time for priority ticket holders, my friend and I arrived at ITV studios at 5:30pm. There was already a massive queue snaked around the building. If we didn’t have priority we definitely wouldn’t have gotten in, and the taping didn’t even start until 7pm. We were escorted to the front of the building to the much shorter priority queue and were issued pink wristbands. At 6:15 they started letting people in. We were guided up a set of stairs lined with photos from shows that would probably mean more to me if I watched more ITV (sorry! ), then through an open set of doors. And there it was — the set of the Jonathan Ross Show, just as I remembered it from all 2 episodes I watched. We were led into the second row, front and center. Perfect seats, right in front of the musical stage. “We’ll practically be able to reach out and touch Boyzone!” I squealed to my friend. Let me back up again here. Boyzone was the scheduled musical act. Do you know who they are? Your answer probably depends a lot on your nationality. To quote Wikipedia, “Boyzone are one of the most successful bands in Ireland and the United Kingdom.” But if you’re American, you likely don’t know who they are, unless you happen to be a rabid fan of Meat Loaf and Jim Steinman, and downloaded their song “No Matter What” several years ago because it was written by Steinman and covered by Meat Loaf and you wanted to hear their version. (Yes, I’m referring to myself there). I knew one of their songs and my friend hadn’t heard of them at all, but this past week we studied up. We jokingly exchanged old Boyzone photos, videos and lyrics through email and Facebook. We were pumped about seeing them perform — and so close! I’m glad my first TV taping experience was with a friend instead of by myself for multiple reasons, but mainly because there’s a lot of down time before it begins and you aren’t allowed to have your phone on. As it got closer to show time, a man came out and greeted everywhere. I know enough from listening to Adam Carolla’s podcast that this guy is the audience warm-up guy. He coaches us on when to clap and make noise. “You came on a very special night,” he said. “We have some amazing guests!” My friend and I looked at each and almost in unison said “I bet he always says that.” Because that was my other gripe — the Jonathan Ross Show usually gets a lot of A-list celebrities. The 2 episodes I watched featured Lindsay Lohan, Russell Brand, and Gordon Ramsey, among others. Tonight’s guests were Lee Evans, Sheila Hancock, Noel Gallagher, Jack Whitehall — no one I knew. This was our first hint that this warm-up guy may be a bit of a BSer. My friend and I both smiled excitedly at each other. Maybe I couldn’t boil down the show’s format from watching only 2 episodes and my dream of actually being on TV was about to be realized! He began teaching us various dance moves, from swaying back and forth, hands in the air, to forward and backward speed bagging. I was glad we had mulled wine at afternoon tea before the show, as dancing in public is not my thing. But this was for TV! Suddenly Elvis’ “Viva Las Vegas” starred blaring and the “dance” began. We swayed and shimmied, laughing at how ridiculous it was. I tried to position myself so I wasn’t directly behind the girl in front of me — you know, for the cameras. But I didn’t see any cameras. We were being taught new dance moves as we went along now, and they got more and more perverse — pelvic thrusting and spanking the person next to you (reason No. 2 I’m glad I was not at the show alone!). That’s when it hit me and I whispered to my friend “This is all just audience warm-up. We’re not even being filmed!” Which of the guests would have us “dancing” to Elvis, anyway?! When the song ended, the warm-up guy jokingly told us ladies to fix our hair and “push ’em up” because it was almost time to be on TV. Suddenly a bunch of guys in hoodies and headphones came out and moved several cameras into place (blocking my view of Jonathan’s chair), and started shouting out show biz-y things like “30 seconds!” Then the intro song played and Jonathan came out as we all jumped to our feet and screamed and clapped, even though no one was going to see us. I watched a lot of the show on the big television screens and on the little screen of the camera blocking my view. It was interesting to watch the red lights on each camera light up so Jonathan and the guests knew which one to look into. The first guest, comedian Lee Evans, was a hilarious bundle of energy, except when he started talking about his recently deceased manager. He and Jonathan seemed to talk forever, and I wondered how they’d ever have time for the other three guests and Boyzone. That’s when I learned another bit of TV magic — they shoot way more than they’ll ever use. At one point Jonathan gave Sheila Hancock an iPod as a gift and she didn’t want it, so he mentioned they’ll probably just cut that whole bit out. There aren’t many commercial breaks in the UK, so they only broke briefly after each guest. After the first break Jonathan mentioned something about Boyzone not coming. They showed several live shots of the green room and only one of the band members was there, sitting next to cardboard cutouts of his bandmates. On air Jonathan said they were stuck in traffic, so my friend and I were holding out hope that they’d arrive soon. I’ve actually seen this happen several times on the Graham Norton Show and the guest always turns up eventually. But with each green room shot as the night wore on, it was only one guy. At the second break warm-up guy came back out and said we were incredibly lucky — we were going to be filmed not just for this show, but for a bit on next week’s show too! So after the show we’d have to stay to tape that segment. He also said it was time to give away a goodie bag. He held it up, mentioned something about a “blonde over there,” then a hoodie-headphone guy said “10 seconds” and warm-up guy and his goodie bag disappeared. After all the guests had finished, Jonathan told us to give it up for Boyzone, and we went wild, cheering and clapping for — a recording. The musical performance was prerecorded. So we sat there and watched Boyzone sing their new song on the TVs above us. Then all the guests came out again and they recorded promos and publicity photos. And then it was done. Two hours of nearly straight filming for a one-hour show. No guest ever interacted with the audience. No camera was ever pointed at any of us. And there was certainly no mention of Viva Las Vegas. But surely warm-up guy didn’t lie about EVERYTHING — he said we’d be on TV two weeks in a row wearing the same clothes! So after headphone guys started taking the guest couch away, I looked around for warm-up guy, wondering what post-show shenanigans he had in store. But he was gone. Everyone stood up and started to file out like at the end of a movie or play. “It was all a lie!” I shouted to my friend. “We were never going to be on TV!” The girl next to us said she went to a taping of a different show and they did the same Elvis warm-up dance. I can almost see the purpose of that — it gets everybody loosened up and laughing, and what’s one tiny fib about it being necessary for the taping? But why all the other lies? Why tell us the audience is being lit, the guests will be using the stairs, we will be winning goodie bags?! Would we be less willing to scream and clap if we knew we weren’t being filmed? Presumably most people in the audience have seen the show more than me, they have to know the typical format! Don’t get me wrong, my friend and I had a great time, and she kept gushing about how fun it was afterward. 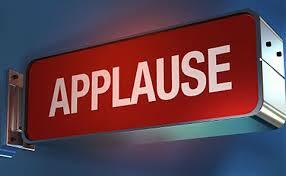 But we both agreed we felt a little useless as an audience — like a glorified laugh track. While some shows feel like the host is talking to the live audience and you at home are just lucky to be watching, this definitely felt like it was made for TV viewers and we were just lucky to be observing the process. Jonathan always looked directly into the camera, like the viewers at home were the ones he was hoping to get a laugh from, not us. I realize again that this is my fault — the show has a certain format to it and it’s not the show’s fault it doesn’t meet my expectations of audience participation — Jonathan Ross is not Graham Norton. I just wish the warm-up guy hadn’t pretended that he was. And what was up with Boyzone?! Was it a fluke thing, or are musical guests often prerecorded? Is it all a lie?!! So that was my first experience in a TV audience. A fun night out, but I’m not sure I’m ready to completely check off my bucket list box… perhaps I’ll make a new addition to the list: be in Graham Norton’s studio audience. How is Thanksgiving only 2 weeks away? Or, perhaps more importantly, how is my second ever 10K race only 2 weeks away? I decided it was time to up my training. For the past few months I’ve only been running 5K (3 miles) a few times a week, then 4 miles with Stephen on the weekend. The last time I truly ran 10K without counting the walking warm up and cool down may have been last year’s race. So I decided today I was going to do it — I was going to run 10K, to make sure I still can, to test out my new Spotify playlist, and to see if all my sub-30 min 5Ks I’ve been clocking in truly could turn into a sub-hour 10K. I went into last year’s race with 2 abstract goals: 1. Finish 2. Don’t walk. I managed to do both, albeit slowly. It was my first ever race and I was just excited to be participating. But I’ve been running for a year and a half now, so it’s time I set a real goal — 10K in under an hour. As I set off to Regents Park this morning I got to thinking about the road trip stages I wrote about 4(?!) years ago. I realized long distance running (shut up, 6 miles is long distance for me!) has similar stages — the initial excitement, followed shortly by Dear God What Am I Doing?! Several times I had to talk myself out of turning around or stopping. In the middle of it time was dragging, and I began questioning why I ever signed up for a 10K and why I would even entertain the thought of a half marathon one day, running more than 5K seemed impossible. And then it started raining, in true London fashion. But I kept going. And going. I got a welcome break at a stoplight, which I almost wish the race would have, but then got going again. I switched my MapMyRun app to kilometers so it would give me updates on pace every kilometer. Of course I started out strong, but then continued to get slower. 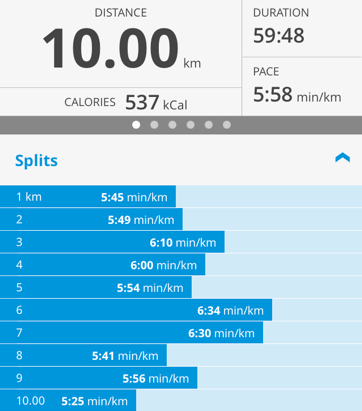 Once my overall pace slowed to 6:02 per kilometer, sub-60 seemed out of reach. I was down to the last 2 km and stopped at a light. I gave myself a little pep talk, found the perfect song, then gunned it. I could feel a blister forming on my right foot, but I didn’t stop. I was so close. I did the 8th km in 5:41 and the 9th in 5:56. Finishing time? 59:48. I did it. Even if I can’t do it again in 2 weeks, I now know I’m capable of it. And like every race runner and mother who’s given birth, once I finished I completely forgot how miserable the whole experience was, and was looking forward to doing it again. My friend in Cincinnati texted me that it’s 28F today and I should bring warm clothing for the race. It’s been 55 all week in London, so I’ll have to dig up my thermal clothing to pack. Here’s hoping the polar vortex or whatever it is they’re calling the cold front leaves by Thanksgiving. I’d rather not have a repeat of last year’s 25F race. I even bought a new outfit specifically for the race, since it’s custom to dress somewhat crazy. I told my mom she’ll have to wait to see it in person, but I’ll give a hint — it involves pugs. Lots of them. 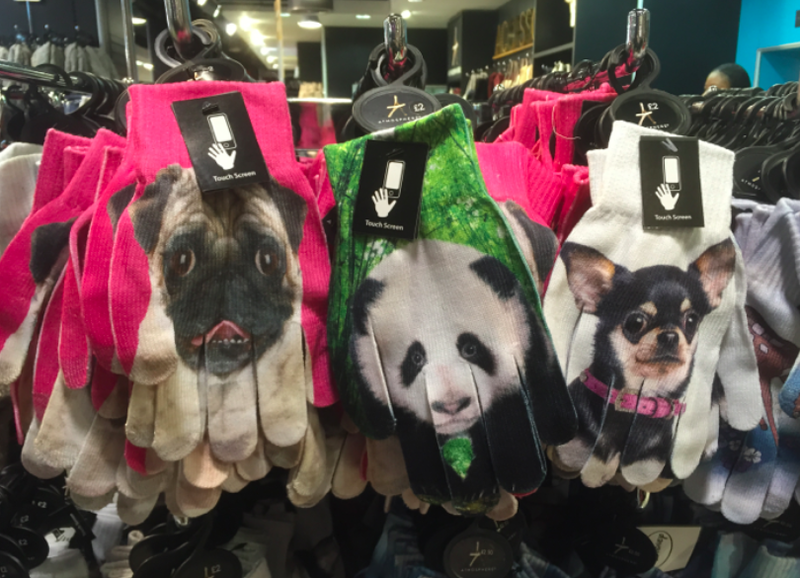 They were a bit thin and I already have too many gloves, but HOW DID THEY HAVE ALL MY FAVORITE ANIMALS?! I wouldn’t even know which one to get if I did get one. This post was supposed to be titled That Time I Was on National Television, because I had a ticket to the taping of Alan Davies As Yet Untitled for this afternoon. I’ve been meaning to make a London bucket list, but for now it has one item on it: be in a live studio audience. I don’t know why I’m so fascinated with TV taping, but then again who isn’t? I’ve never lived anywhere in the US where attending a taping was possible, and I never planned ahead when I visited LA or NYC. I tried to go to a taping of Loose Women back in March 2013 when my friend from Kentucky was visiting. We arrived too late and were turned away. Then I tried again today and — you guessed it — the queue was full. It snaked completely around the studio. Are there really that many people free on a Tuesday afternoon in London? Yes, apparently. The woman in front of me was “absolutely gutted” because she had arranged her whole day around this taping, and hired a babysitter. I told her I was too, but in reality I had finished my work early this morning and was trying to check an item off my one-item bucket list. I watched one episode of As Yet Untitled yesterday and it was just alright (Sorry, Alan). The producer took my ticket away from me and told me they’d give me priority for another show. And this, friends, is how you get to be on live TV in London. You must apply for free tickets online, get chosen among the many applicants, arrive at the studio excited to be on TV, and then get turned away. It is only then that you will be offered priority tickets to an upcoming show, which guarantees you entry if you’re on time. I’m convinced no matter how many general tickets they issue, only the priority people get in. So with that, barring no catastrophic Tube incidents, I finally cashed in my priority note from when I was turned away over a year ago, and my visiting friend from Chicago and I will be a part of the live studio audience at the Jonathan Ross Show in two weeks, and I can finally complete my London bucket list.